An art form emanating from an increasingly bygone age rather than a modern-day science project, golf by the seaside has long provoked a range of emotion and conclusion. To those disinclined to the unexpected, the unpredictable or, heaven forbid, the “unfair”—aka a sizable percentage of 21st-century tour professionals—the idea of a lot of bounces good and bad is anathema. 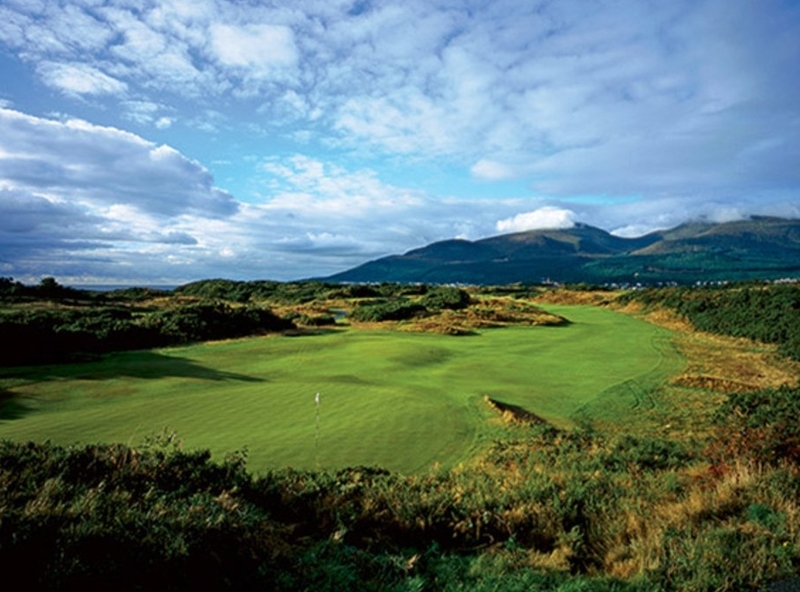 Perhaps the only common ground can be found in the unimpeachable view that this broad expanse of classic linksland in Newcastle, at the foot of Northern Ireland’s spectacular Mourne Mountains, is one of the most beautiful golf locations on the planet. Across the floor from Els and Brown sit those unmoved by the humps and bumps and eccentricities of RCD. Standing outside the clubhouse before the start of the tournament, a group of grizzled but giggling European Tour caddies entertained themselves with the thought of just what their “by the numbers” employers would make of such an atypical tournament venue. With good reason. “Today there is an obsession with courses being green and long,” said the 48-year-old Irishman. “And as that has increased, the skill required to play the game well has diminished. Back in the day, professional golf wasn’t just a test of strength. Today, the importance of power is disproportionate. We need to bring the skill back in, and one way to do that is to play courses like RCD. Not always bosom buddies, McGinley nevertheless has a philosophical ally in his successor as Ryder Cup skipper, Darren Clarke. The most notable—and controversial—example was the green on the 144-yard seventh, which caused much consternation over the two days it took to eliminate No. 1-ranked and tournament host Rory McIlroy and the four to identify Soren Kjeldsen as the new Irish Open champion. Played into a strong right-to-left breeze and to a green with a left half that slopes sharply in the same direction, the deep bunker left of the putting surface saw an inordinate amount of action. “The obvious shot is a ‘hold-up’ fade into the wind,” McGinley said. “So there is maybe a 10-yard-wide area to land the ball. And it has to land softly. The ability to hit that shot requires greater skill than does the guy who hits it 325 yards off the tee through the air. To me, that is the essence of golf. And we don’t have enough courses where that sort of talent is needed or tested. It’s a shame. Still, the biggest criticism aimed at RCD is that the number of blind shots is excessive. The big hills at the second and 11th complete with marker poles are the most obvious examples. But those, according to McGinley, are fine. It’s elsewhere that he finds more subtle fault. McGinley’s point is well made. To be the very best, RCD needs those little areas to be opened up so that the challenge can be more visual as well as technical. A great skill in golf is playing with your eyes—being able to visualize how to get close to the hole. And too, seeing where to land the ball and where to take advantage of any slopes. All of which is part of what goes into creating interesting shots. But too often, pieces of that puzzle are at least partially hidden on RCD. And not even the most magnificent backdrops can make up for that. 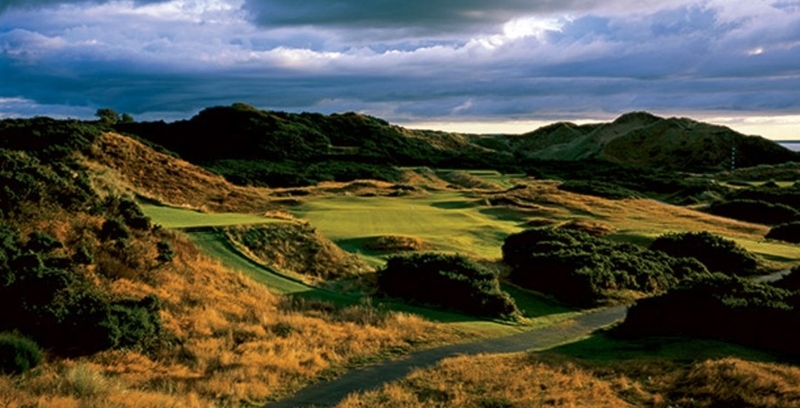 It would be wrong, however, to end any analysis of Royal County Down on a negative note. Since 2007, Golf Digest has ranked it the best course outside the United States four straight times for good reason. As the scores on the final day of the Irish Open made clear, it’s a test for the best, yet in non-tournament conditions always playable for the rest. A rare combination, made even better by a timeless and wondrous setting.